An adventure at horse camp with Four Star Farm in Winters awaits you! 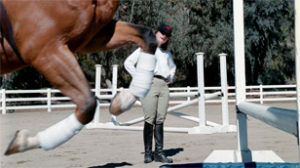 Activities include daily riding lessons, vaulting and lots of fun with friends. Ages 7-14. All levels welcome. Monday-Friday, 9:00 a.m.-3:00 p.m.
Campers are immersed in everything horsey! In addition to riding, they learn about equine veterinary care, anatomy, grooming and tack. Four Star Farm prides itself on exceptional instruction. Join us this summer! Note: Registration for summer camps is a two-step process. Fill out the form below, click “Register,” and you’ll be taken to the payment page. You can use a credit or debit card or your Paypal account to pay. Thank you! 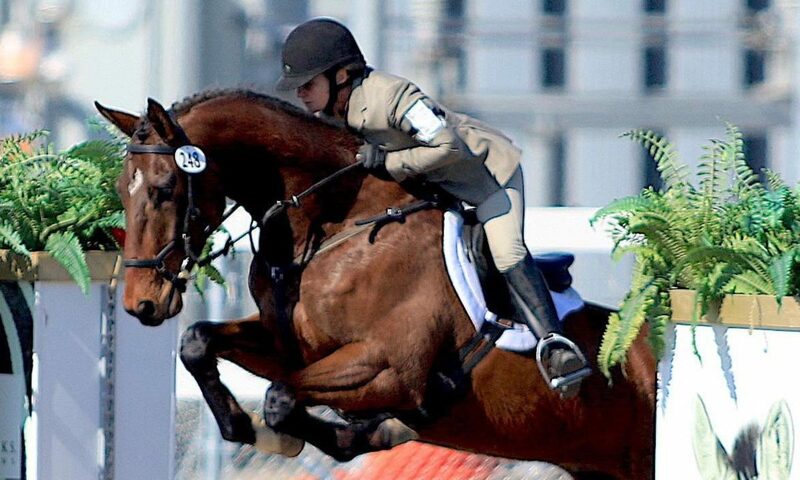 Does your rider have any medical conditions or allergies we should be aware of? The Four Star Farm Advanced Camp is run concurrently with our camping weekend. For the serious competitor, advanced camp includes morning riding sessions (dressage, show jumping and cross country) and afternoon talks tailored to rider interests. Choices include equine nutrition, building show jumping courses, memorizing dressage tests, conditioning, rider fitness and equine body work. Tuition is $700, plus food. Contact Natalie with questions. Run in conjunction with Advanced Camp, for many of us at Four Star Farm the camping weekend is the highlight activity of the year. Eventful Acres is a beautiful cross-country schooling facility located in Oregon House, northeast of Yuba City and Marysville. Eventful Acres has jumps appropriate for every rider, from first time on a cross-country course, to Preliminary Level. Bring your horse or lease one of Four Star Farm’s lesson horses for the weekend. Eventful Acres provides a paddock for your horse and space for tent camping, with restrooms and showers included. There are several RVs available through Eventful Acres if you do not wish to tent camp. (Please contact Rod and Karen Hiskens, owners of Eventful Acres, directly to reserve an RV, 530-692-0919.) You can bring your own RV as well. The weekend also includes a trip to Collins Lake for the best ice cream ever and nearby St. Francis Lake for swimming and fun! Riders are grouped according to ability, from beginner to advanced, with 3-4 people per group. The daily fee includes space for tent camping and a pipe paddock for your horse. Food costs are additional and coordinated closer to the camp date. Please feel free to ask questions! Now you can experience the same camp fun as younger folks but when it works best for your schedule. Adult camp includes two mounted lessons and two unmounted activities per day. You choose from dressage (basics to advanced movements such as passage and piaffe), show jumping (first time jumping to 1.30 courses) or cross-country other unmounted activities include covering topics such as starting young horses, handling foals, breeding management, walking courses, building courses, sports psychology for the equestrian, test-riding strategies, equine nutrition, conditioning your horse, soundness issues and rehab information, improving your riding with cross-training exercises and SO MUCH MORE! You’ll love the progress you can make during this intensive format. The adult camp fee is $175/day, which includes use of a Four Star Farm horse. If you bring your own, stabling is $30 per day. A $100 deposit is required to reserve.